Tired of looking for the best sewing machine at an affordable price? Well search no more, we have compiled the best sewing machines present in the market for you and even reviewed them for your ease. Janome sewing machines are the best kind of machines; they are simple to use and packed with the best features available today. They are affordable and easily accessible; these machines have changed the sewing game forever. Unlike other machines, these sewing machines come with an incredible feature that helps in controlling many functions. Moreover, with this machine, you get to make use of advanced stitching patterns, embroidery patterns and even more. 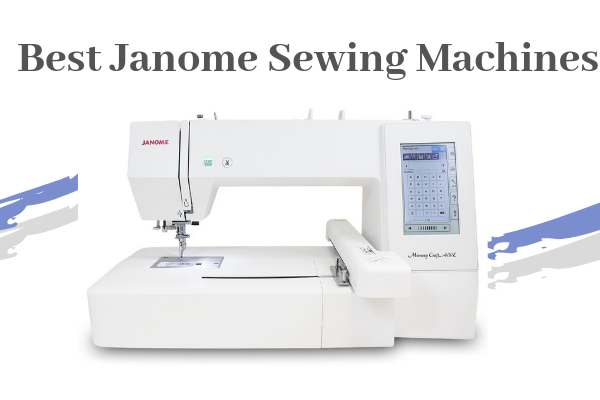 With Janome machines you have access to endless possibilities; moreover, these machines are perfect for experts as well as beginners. 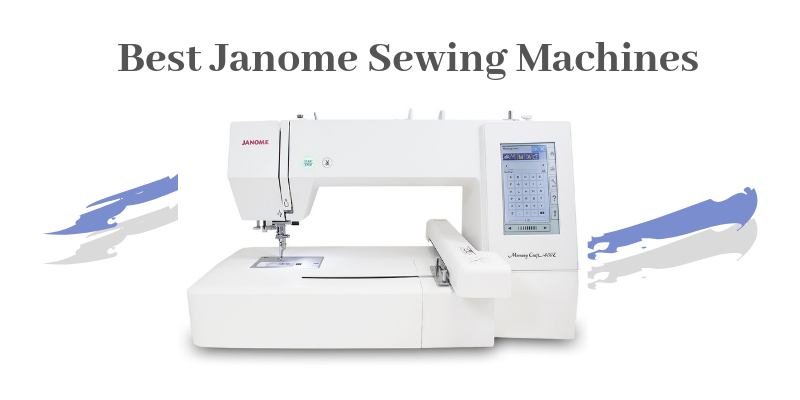 So keep on reading this review to find out which Janome machine you must grab right away. 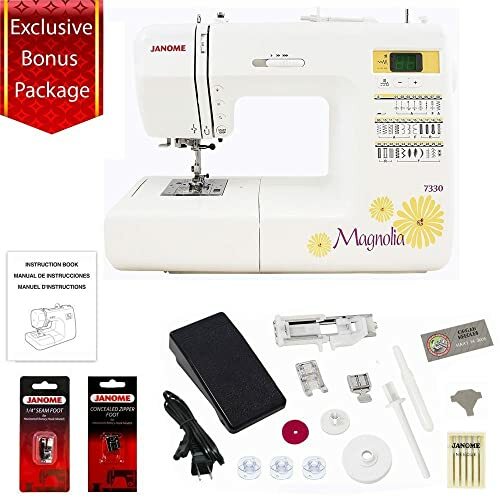 If you are looking for simplicity in a computerized sewing machine to help you out, then this machine is perfect for you. 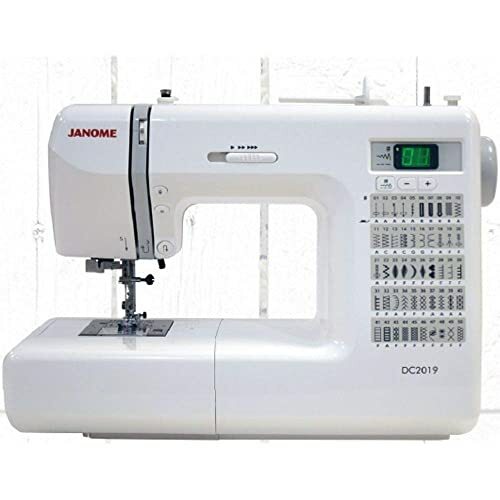 Janome DC2013 is a sewing machine that provides you with incredible features at an affordable price range. With the help of 50 stitches programmed in it, you can easily switch it up by simply pushing the button. Moreover, this machine even provides you access to three buttonholes. This machine has an exclusive superior feed system. This helps in providing you with a good stitch quality since it does not get bunched up as other machines do. Also, combine this feature with a computerized direct stitch selection button, and you have the best machine you can get. Go ahead and complete all your sewing projects easily with this incredible device. Moreover, this machine can sew thick layers of fabric easily; it also has a memorized up and down needle stop position which makes your work incredibly easy. Furthermore, with a bright bulb present near the stitching area, this machine allows you to create your projects with ease. No matter how dark the fabric is, this machine makes your work simply. 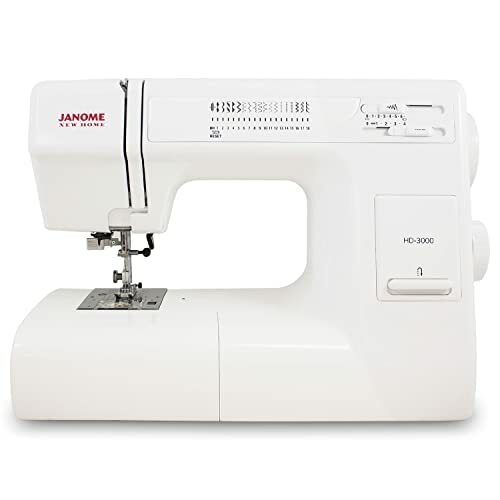 Janome DC1050 is a computerized machine designed to handle all of your sewing tasks. This machine comes with a backlit LCD screen that makes navigation very easy. Moreover, this LCD screen also makes it simple for you to choose stitches and customize the length and width of the stitch. Using this machine, you can get access to many convenient features so that you can quickly finish your work. Furthermore, this machine comes with a memorized up and down needle, locking stitch button, speed control slider, and easy reverse. Also, make use of the 7 piece feed dog, drop feed dog, 3 steps one buttonhole and the free arm present on this machine. With a soft cover, this machine is maintenance free. Moreover, this machine has easy convenience buttons as well. These buttons include the start and stop, easy reverse and the locking stitch button. The start and stop button allow you to easily turn the machine on and off. The easy reverse button, on the other hand, allows you to backstitch for locking seams easily; at the same time, the locking stitch button ties off the end of the thread for you. All of these buttons make your work incredibly simple and less time-consuming. This machine helps in inspiring innovation and creativity making it an ideal machine present in the market so far. This Janome machine comes with incredibly convenient features that many high priced machines lack. Whether you want to alter your garment, any home décor item or a simple accessory, this machine is the one you need. 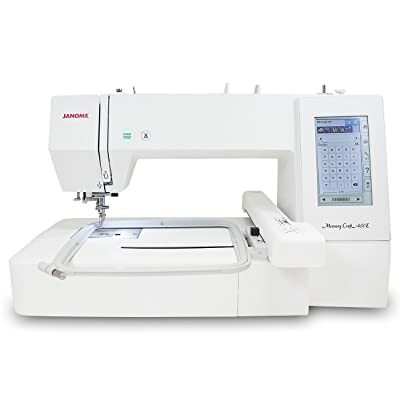 It comes with 14 built-in stitches, but that’s not all; its four-step buttonhole and built-in needle threader make your work incredibly easy. This machine also comes with an easy adjustment dial; this allows you to set up the length of your stitches so that you can easily switch from heavier to fine fabrics easily. 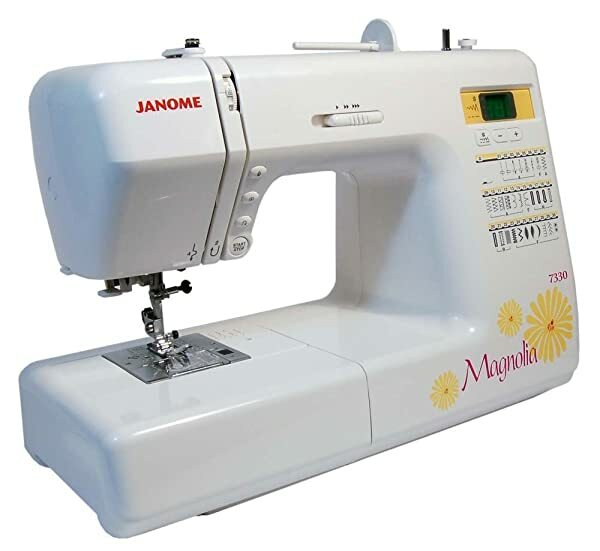 Moreover, some accessories that come with this machine are a zipper foot, blind hemming foot, needles, sliding buttonhole foot, bobbins and more. Also, the heavy-duty aluminum made body makes this machine ideal for tacking many different fabric ranges. The removable free arm of this machine makes it a great storage compartment. The drop feed used for free motion sewing and the built-in needle threader makes this machine perfect for novice and experts. Moreover, with the hard-sided cover included with this machine, it remains protected when not in use. Also with an adjustable stitch length and the width, you can find the most appropriate setting for your stitch type. This Janome Memory Craft machine is a great machine at this price. It comes with a large embroidery field for you to work on; this field measures 7.9” x 7.9”. This size makes the workspace of this machine great for small projects and also good for large sewing jobs such as home décor item and quilts. This machine comes jam-packed with excellent features. Moreover, there is 160 built-in embroidery design present in this machine; you can use these designs however you want. Furthermore, make use of the 6 fonts present in this machine as well as make use of the USB port. Easily transfer fonts from your laptop to this machine without any difficult via the port. This machine provides its user with many endless designs and possibilities. But that’s not all, Janome Memory Craft comes with an extra wide table as well. You also get four extra hoop sizes available to use on this machine. 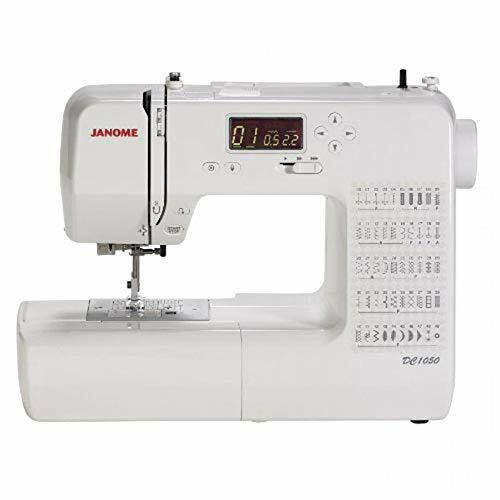 The sewing speed of Janome is around 400-850 stitches in a minute. With this machine, you can paste, copy, combine, group and corner layout easily. With a fully colored LCD, this machine is no doubt perfect for you. This product is great for experts and beginners. However, even though this machine does not have a lot of stitches present, it does have stitches that mainly other expensive machines carry. It has 30 stitches built in this machine along with six one-step buttonholes. You can choose whichever you want without paying heed to its size. Moreover, on Janome 8077 you can make use of decorative satin and quilting stitches as well. This product provides you with the perfect cloth construction and the important utility stitches for you to use. When selecting the stitch, the process is very easy. To find out which stitch you need to work with you simply pick the number and the stitch will pop-up on the screen. Moreover, on the LCD screen, you can also alter the length and width of the stitch. Janome 2212 is a machine designed for beginners and experts. This machine can sew many different varieties of fabric making it perfect for everyone. This machine looks very basic and elegant due to its white colored. You can view the list of stitches and buttonholes on this machine that is present in green colored. Moreover, due to its small toaster like size, you can easily carry this machine around with you. However, this machine is not light enough to travel around with. With a heavy metal interior and a plastic exterior, this machine is very durable and lasts long. Moreover, Janome allows you to place the needle in two different positions. The needle position depends on what project you are working on. Furthermore, this ability to place the needle in two entirely different positions makes sure that your stitch remains smooth. This smoothness allows this machine to deal with fabrics having different weaves, thickness, and weight. Also due to the needle plate present on this machine filled with seam guides and measurements, you can easily deal with the measurements. For this reason, this machine is perfect for beginners. On the other hand, this machine also has a built-in lamp shining a light on the work area. So you can say goodbye to any eye problem you may experience due to your sewing hobbies. This machine has excellent features but is not ideal for many different kinds of fabrics. This machine is just right for people looking for an affordable machine. It is a computerized machine made for beginners. It has many features ideal for the user, however; there are limited stitch present in this machine. Moreover, this machine is very affordable. However, this machine is not the kind of machine you can travel with but is definitely light enough to move easily from one place to another. 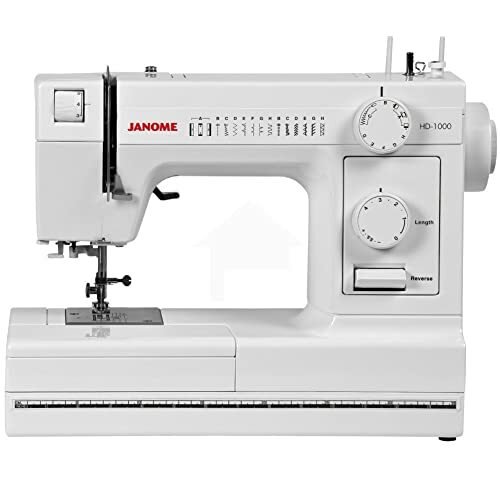 Due to its durability, Janome is every sewing fanatics favorite. Furthermore, this machine does not come alone; it comes with many accessories allowing you to start working right away. With an automatic needle threader, you can prevent harming your eyes. Also, the speed control slider on Janome DC1018 is perfect; allowing you to work on low speed as a beginner and a high speed if you are an expert. Janome also has a programmable up and down button; this is designed specifically for people who want to quilt. Besides that, the locking stitch button on this machine makes your work very easy. It helps in securing your stitches easily. This way your stitches do not get mixed up. Due to an easy reserve button present on this machine, you can work on any project easily and finish it quickly. The LCD display on this machine comes in handy and allows you to choose any kind of stitch that you like. You can even adjust stitches on your own easily making it ideal for even older people. Janome 7330 is a machine very popular for experts and beginners. This machine is known for its power, quality, and reliability. Janome is incredibly easy to use and is jam-packed with features. The LCD screen shows you the selection you have made and is also easy to set up. Moreover, with the bobbin winding system, feed dog system, buttonholes, and automatic threading only a button away, this machine is no doubt incredibly. Janome may look pretty but is very delicate. It has the ability to handle thick as well as thin fabrics, and the best part about this machine is that you do not have to use its foot pedal. 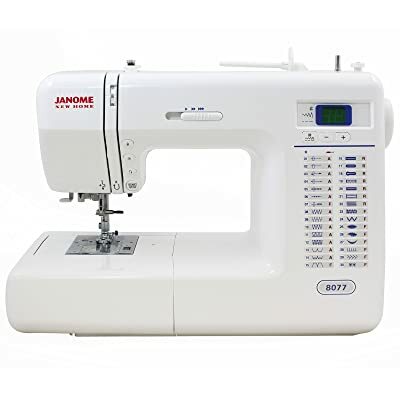 If you are searching for an affordable machine packed with features than Janome 7700 is the one for you. This machine has sewing and quilting abilities and is ideal for sewing garments, home décor and even handling bigger projects. Also, this machine does not come alone. It comes with many accessories some of which are the hemmer foot, piping foot, binder foot, blind hem foot, appliqué foot, button sewing foot, gathering foot and more. Using this machine you can say goodbye to haring your eyes. The workplace of this machine is brightly lit with the help of five bright LEDs. Moreover, you can alter the length of the stitch. The maximum width of the stitch is 7mm whereas the maximum length is 5mm. This machine is no doubt amazing and has everything you will need. 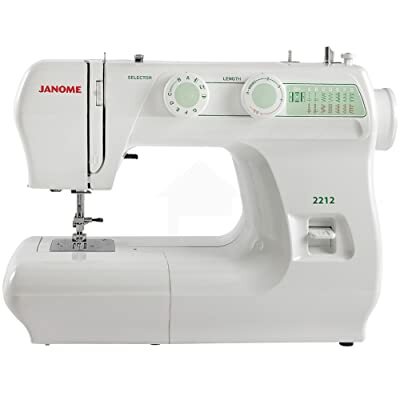 If you are searching for a heavy duty machine, then the Janome HD3000 is the one for you. This machine comes with a needle threader and 18 built-in stitches. Every feature of this machine tends to make your work easy for you. This machine is made from heavy-duty metal that help in making it durable. This machine is also very steady which helps in ensuring that it creates high quality stitches. With the help of this steadiness, you can sew tough fabrics such as canvas and denim. Moreover, this machine has a lot of storage space in the top compartment due to the retractable arm. Even though this machine is manual, it comes with many incredible features such as an automatic thread cutter and an automated size buttonholer. This machine is ideal for places where the workload is too much. Using this machine also gives you power over the length and width of the stitch. However, this machine does not work well when there are changes made in the density of the fabric. This is the most important question. 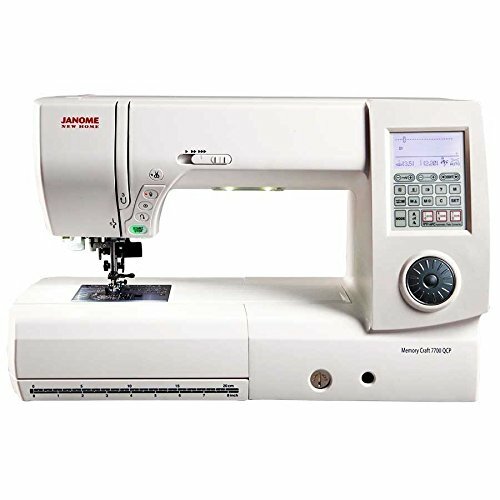 Everyone has a specific budget set in mind when investing in their machine and so if you have a limited budget then there is no point in looking at high-end sewing machines. 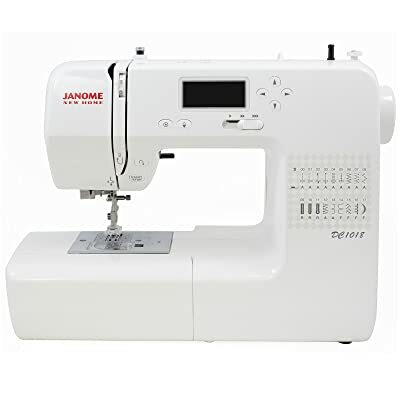 There is no doubt that the more expensive the machine is, the better its features; however, some Janome machines are incredibly cheap and carry the best features. So make sure that you carry out your proper research. How Many Stitches Are You Looking For? Once you have decided on your resources, you must decide on the stitches. Keep in mind that if you are a beginner, then you will only need a zigzag stitch and a straight stitch. These two stitches will do whatever you need. However, the number of stitches depends on what you need to do with it. Many machines come with more than 20 stitches so decide on what you need to do with your machine and the number of stitches you need. Can You Adjust The Stitch Length? Now even though as a beginner you may only use two stitches, but adjusting the length and width of the stitch can be an invaluable asset. So make sure that you invest in a machine that allows you to do that. Moreover, having a LCD screen that allows you to adjust the lenght is a bonus for you. What Accessories Do You Get With It? Having different presser feet selection can make your day. It can help you with your sewing and make everything easy for you. So before you go ahead and invest in the machine make sure you know which accessories it contains. Also, focus on which ones come as a standard with your machine and which ones you will have to buy separately. All the machines mentioned in this article are without any doubt some of the top sewing machines by Janome. They come with very easy-to-use features and are ideal for beginners and experts. These machines provide you with the assistance you are looking for. Some of these machines are made from smaller projects whereas some work best for bigger ones. To choose one machine as a winner out of the 10 mentioned is an understatement; the reason being that each machine has its own groundbreaking features. Each Janome machine is ideal for its function. However, before you invest in any of the above machinery, make sure that you do your own research. Buy the machine that meets your needs and requirements and provides you with the features you are looking for. This way your money will not be invested in the wrong place.